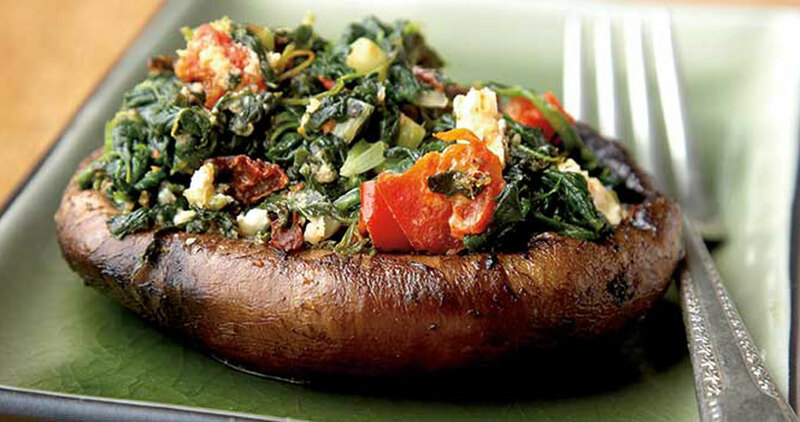 Try these spinach-and-cheese-stuffed mushrooms from Recipes to Remember the next time you’re looking for a hearty new dish. Rub olive oil on mushrooms and grill until tender, approximately 15 minutes on low heat. Mix spinach, Feta, Parmesan, peppers, tomatoes, and scallions. Fill mushrooms with mixture and finish grilling another 15 minutes on low heat.